Tarzan has been around since before black and white television had Olympic swimmer Johnny Weissmuller portrayed the character whose legend has been recapped many times in movies and comics. Tarzan of the Apes was an all-human superhero (in the jungle at least). 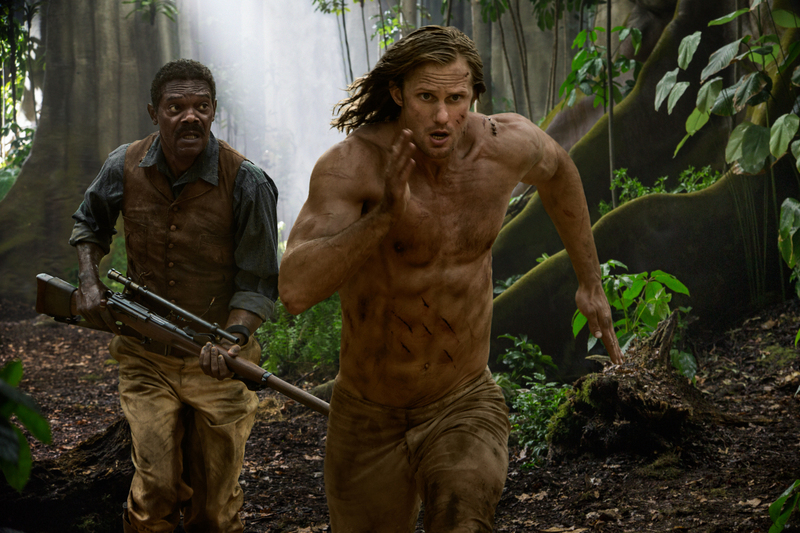 Recently, my husband and I watched the 2016 remake called THE LEGEND OF TARZAN, and I was reminded of my childhood crush on this hero of the jungle. Edgar Rice Burroughs breathed life into Tarzan in 1912 with a story in The All Story Magazine. In 1918, Hollywood produced the first of nearly three dozen movies (not including TV series) featuring this vine-swinging man who could talk to animals. Weismuller stared in twelve of these films between 1932 and 1948, so it’s no wonder his name was the first to come to mind. Even Walt Disney took a shot and animated a couple films featuring this well-loved hero (if the frequency of remakes and story lines is any clue). Millennials remember the music of Phil Collins more than anything else about those movies. 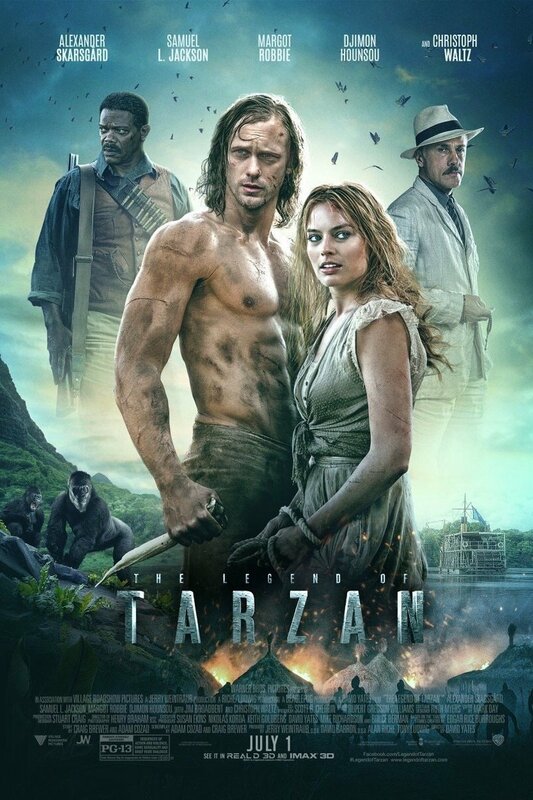 Regardless of the worldwide love affair with the loincloth clad man, I watched this latest movie and recalled several reasons why Tarzan is still a hero to me. Tarzan’s parents died when he was a baby. A female gorilla found and adopted him, but imagine being a human in the troop of gorillas led by a 500-pound alpha…who didn’t want you around. His humanity would have made him weak among the powerful apes. He wouldn’t have the protection of fur against the elements and predators, nor would he have the strength and bone structure to travel with speed among the trees. But humans are adaptable. In this newest movie, there was great care given to the changes in his hands and arms because he’d learned to be an ape before being human. He would have been bullied, an outcast among the troop. But his humanity made him curious about the other animals, and he befriended them. Yes, even learning to communicate with them. We all know about the Tarzan yell. Likely because he had been the weak one for much of his life, Tarzan champions the cause of those being targeted by stronger species. Whether it is his gorilla family or elephants being poached, he doesn’t accept senseless brutality. As you know in my posts about Captain America and Wonder Woman, this, in my opinion, is the mark of a true hero. He has power but he uses it to help others. In this movie, it’s the tribesmen who are being enslaved and the animals being poached that earn his protection. Of course, he intends to rescue Jane, but she’s as adamant about protecting their “families” as he is. One of the lines that stuck with me from this film happens near the dark moment. Tarzan has been “sold” to a tribe of natives. The chief of this tribe wants revenge because Tarzan killed his son many years ago (the son had killed Tarzan’s ape “mother”). Tarzan defeats the chief and much of the armed tribe in hand-to-hand combat and hold a knife to the chief’s throat. They discuss this impasse. He was raised by animals to be an animal. The argument of nature versus nurture comes into play. Was he little more than an ape when he carried out the retribution against the native? Or should he have had more scruples, as a man would (although a goodly number of the men in this film did NOT have any)? He admitted his lack. He acted on instinct and out of pain and anger. Wasn’t the chief now doing the same thing? Where did this talk of honor come from then? But as Tarzan learned to be human, he rejected those traits that didn’t mesh with his ingrained love for family. Gorillas are fiercely protective of both territory and troop members, and Tarzan learned this well. When he met humans, they saved him. Then they tried to capture him and ruin his home. He learned not to trust them. That they would lie and steal and cheat. Were they really more “advanced” than the apes who raised him to survive in the jungle? THE LEGEND OF TARZAN sends Tarzan and Jane back to the Congo at the request (so they believe) of the Dutch king, since Congo became a colony of the Dutch when all the Europeans finished warring over it in the late 1890s. Really it’s part of a plot to mine diamonds to pay the Dutch debt. Samuel L. Jackson played an American fighting against slavery and offered plenty of comedic relief in the tense plot. What do you love about Tarzan? Or who is a figure you saw a heroic in your childhood that doesn’t get much recognition these days? Like reading this? You’re a click away from getting Hero Delivery, a bulletin with deals and new releases from Sharon Hughson. Maybe you like romance or some of my other books. I’m sure there’s something worth reading on my page. Already read one or more of my books? Please leave an honest review on your favorite site. A review is the same as the author discovering a gold nugget in the bottom of her washing machine.